Congratulations to Mason Fontenot, a Jefferson Davis Parish student, for being named first place overall winner for the Louisiana School for Visually Impaired (LSVI) art show! 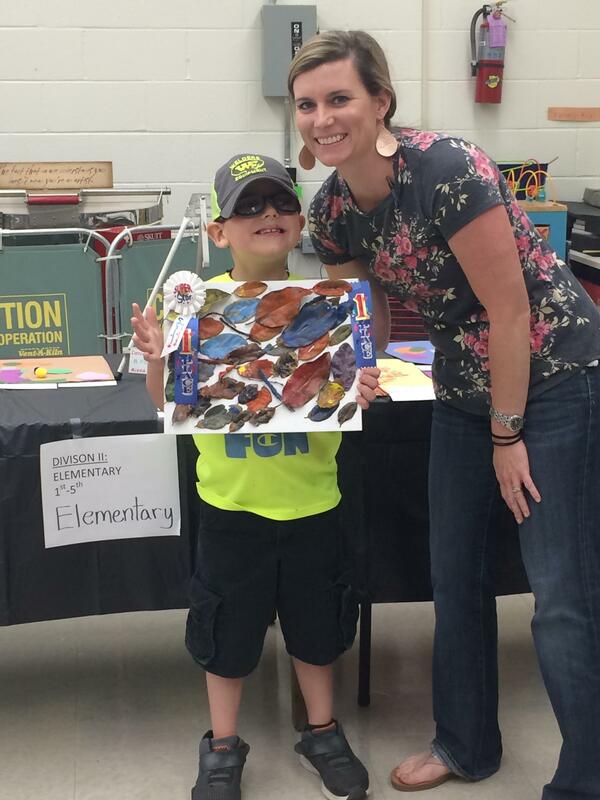 Mason is pictured with his winning art work and his teacher, Mrs. Megan Prejean, for which he received a $100 cash prize as overall winner. What a great accomplishment, Mason!